Unlike stock tips, tax tips don’t stir our greedy imaginations all that much. But a better basic understanding of the income taxation scheme our federal and provincial governments continually tinker with year over year can calculate into more cold, hard cash in our hands as a refund come spring. 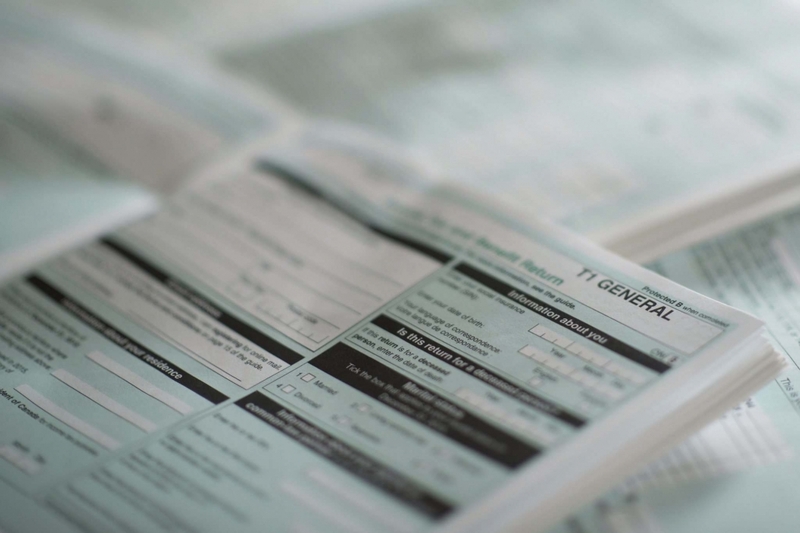 While knowledge doesn’t necessarily translate into power when it comes to filing taxes, it often parlays into more money in your bank account. If you think it’s not worth filing your taxes because you have no income, think again, says renowned tax expert Evelyn Jacks, who has written several books on the subject including Essential Tax Facts. “One reason you have to file a tax return is to receive those very lucrative refundable credits,” the president of the Winnipeg-based Knowledge Bureau says. This further drives home the point that filing your taxes is one of the most important financial events of the year for the family household, she adds. Case in point is the Canada Child Benefit, a refundable credit based on family income reported on your tax return. The monthly payment for each child in the family resets in July, indexed to inflation, and is calculated from net income reported on both parents’ tax returns for 2018. Currently, the maximum benefit is $6,496 per child under age six and $5,481 per child age six through 17. Another reason for filing is the GST credit for low-income Canadians. If you need more incentive to file, here’s one more: Manitoba residents can apply for Climate Action Incentive. “It’s a prepayment of the regressivity (affects lower-income families more) of the carbon tax at the pump that begins on April 1, mandated by the federal government,” Jacks says. In Manitoba, you receive $170 for the year as the primary filer in the household, and $85 as the spouse earning the lesser income. The family also receives $42 for each dependant. The neat thing is the tax hasn’t even kicked in yet. Jacks adds that many Manitobans living in rural areas could receive an additional 10 per cent boost from the program given they have reduced access to public transportation and often consume more gasoline and diesel to get around. Thomas Holmes, a wealth adviser with Assante Capital Management and a chartered professional accountant (CPA), says if the camps serve as a kind of child care you’d need otherwise, then costs up to $200 per week for a child under age seven and $125 per week for a child between ages seven and 16 are tax-deductible. A good scout is always prepared. So is a tax filer who wants to get the most out of a return, and, in turn, more tax dollars back from the Canada Revenue Agency (CRA). “It’s important to have all your receipts for claimed expenses organized as well as all your T slips, many of which are coming this month,” Holmes says. That includes your T3 slip for trusts, for taxable income from mutual funds in non-registered accounts (outside an RRSP/RRIF, TFSA and RESP). There’s also the T5 for income from dividends, capital gains, interest and foreign income from non-registered investments like stocks and bonds. When it comes to expenses, the CRA can be a stickler about receipts and is now looking more closely at claims for auto expenses, for example. Thomas says this underscores the importance of having the actual bills for purchases of gasoline as opposed to relying on credit card statements. “You want to make sure you have proof of purchase because CRA can really ding you over unclaimable expenses,” he says. Also, if you are an employee, “it is necessary to also have a Form T2200 signed by your employer” to be able to claim automobile costs incurred for the job. Keep in mind, however, you cannot claim driving from home to work and back again as a deductible expense. Ontario-based cross-border tax specialist Elena Hanson says the more complex a return is, the more attention it will receive from CRA. “The CRA reviews around 10 per cent of the returns, but the more complex your return is the higher the chances you are going to be selected,” Hanson, a CPA, says. A review doesn’t mean you are getting audited, but your return will be examined closely. And you might be called upon to offer proof for claims of credits. She cites claiming foreign tax credits as one trigger for a closer look from CRA. Some of these non-refundable tax credits — as in you need to have paid income tax to be eligible to receive them — are fully and completely kiboshed on the federal tax return. While the arts and fitness amounts are long gone, having been phased out on the previous tax years, the public transportation amount is also no longer available as of 2018. So, too, is the First-Time Donor’s Super Credit (FTDSC) that gave first-time donors, and individuals who haven’t claimed a charitable donation in the past five years, an extra 25 per cent on their tax credit for charitable gifts. This is hardly news for Canada’s small businesses given all the intense interest — more like outrage — over changes to how dividends from private corporations are taxed when paid to adult family members. “Well, the kiddie tax has sort of moved up in the world to become an all-person tax,” says Jacks, who co-authored the recently published Defusing the Family Business Time Bomb. That is unless you meet certain criteria like a labour test (i.e. providing 20 hours of work a week for the company). Then those dividends get the preferential treatment. “Anyone who is receiving dividends from a private corporation is wise to check with a tax adviser to make sure everything is properly reported,” she says. The new rules came into effect Jan. 1, 2018, and so did another regulation on income splitting for business owners. But this one is more favourable. “A bright light is if the source individual — the actively engaged individual in the company — has reached age 65, then dividends can be paid to the non-active spouse without limitation.” This is a better deal than the rules regarding income splitting for private-pension income from RRSP or employer-sponsored-plan income. With those income sources, you can only split up to 50 per cent of eligible income, she says. The 2017 Manitoba budget discontinued the program, phasing it out for the 2017 tax year, Holmes says. This means that for the 2018 tax year, the credit worth up to 60 per cent of tuition fees after graduating if you remained in Manitoba is now gone. “So if you were expecting to benefit from this credit, it is no longer an option,” he says.